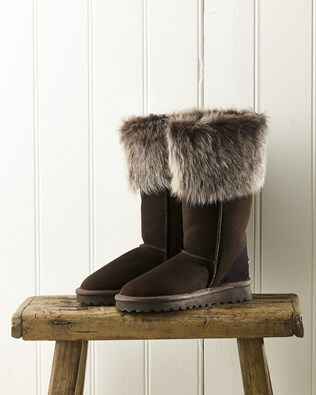 Shop Celtic & Co luxury women’s sheepskin boots online. Made in the UK, each pair of boots have been crafted to stand the test of time and keep your feet warm and comfortable whether you’re battling the elements outside, or relaxing in front of the fire inside. 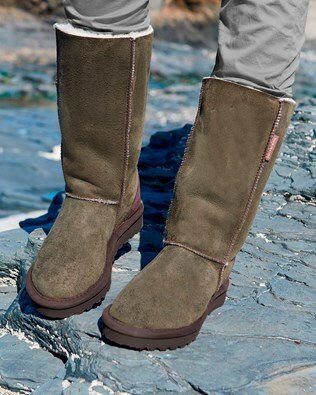 Founded 27 years ago, we now supply a range women’s boots in a range of designs, colours and sizes. 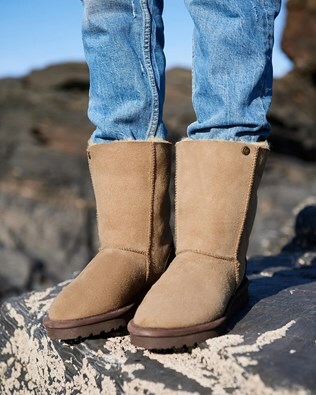 Choose from our online collection of classic sheepskin boots which are exceptionally made with 100% premium quality British sheepskin and Celtic Wool Wash. With double-stitched seams, our Classic Sheepskin Boots are made to give you ultimate comfort and support both indoors and out. 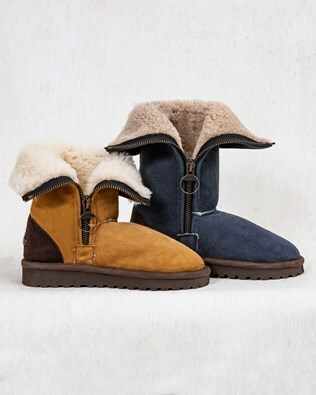 Shop our online collection of sheepskin boots for women and get ready to experience the luxury feeling of wearing a pair of Celtic & Co boots. We have a beautiful collection of boots and booties for women online, such as our Celt Knee Boots. 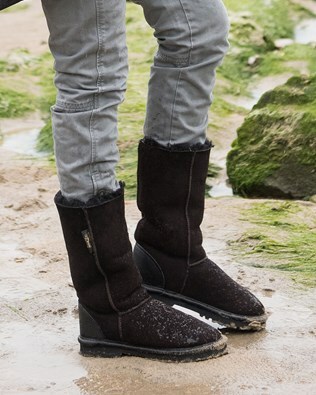 These boots have been handcrafted in Cornwall and made to withstand poor weather conditions. 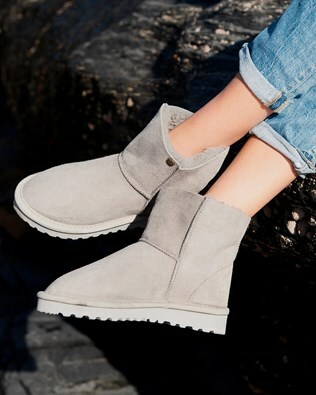 For added warmth, use our bestselling cosy real sheepskin insoles and enjoy the feeling of walking on little fluffy clouds every day. 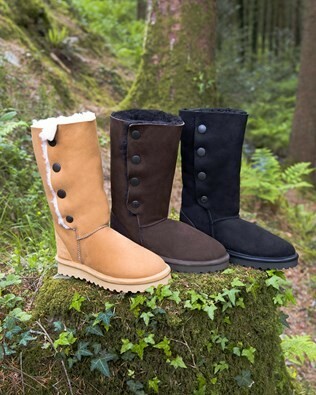 Or why not bring the comfort of Celtic & Co boots inside with our Celt House Boots. Handmade in Cornwall from pure British sheepskin, they are the perfect set of slippers and have been specially designed for indoor use only. 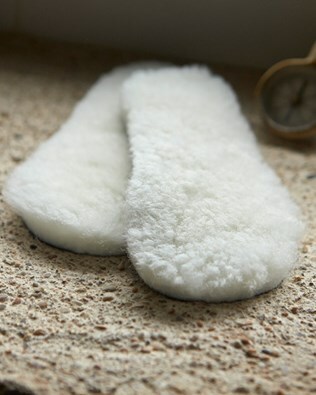 One of the best things about our real sheepskin boots and insoles, is that they can be easily washed at home. Pop your boots in the washing machine with our Celtic Wool Wash and keep your Celtic & Co boots looking beautiful at all times. 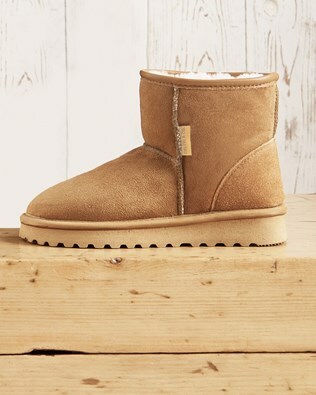 Browse through our women’s sheepskin boots category and find a pair of gorgeous boots online.